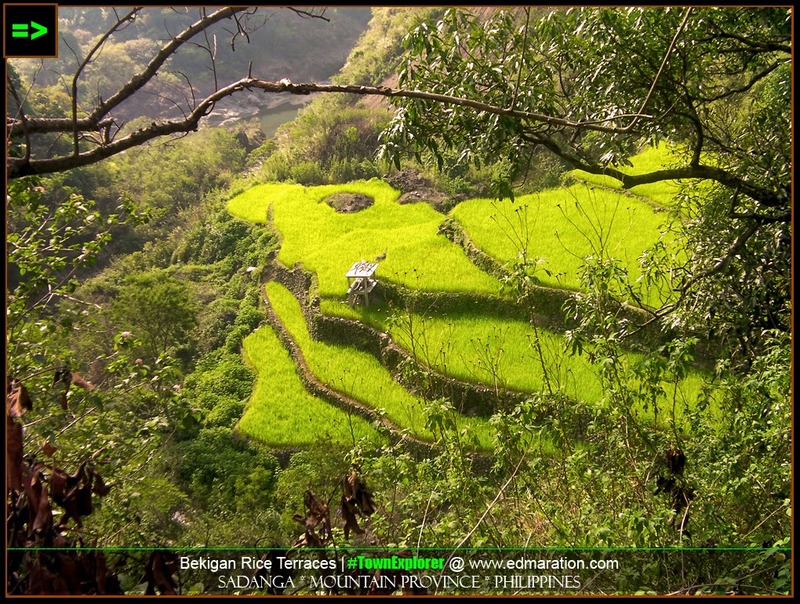 "...not every beautiful beach should be crowded, not every mountain should be hiked and for the case of these Rice Terraces, not every rice terraces should be flocked by visitors." A journey to the northern frontier of Mountain Province situated at the heart of the Philippine Cordilleras was like a ride to a roller coaster wherein you are entrusting your life to someone you do not know while enjoying the thrill of getting twisted, the cloud 9 sensation of a negative gravity and the magic of turning your little vocal cords to a huge squealing to roaring sound that could annoy a town. I just compared it to a roller coaster but I wasn't twisted. I didn't fall to the ground in negative Newton and never had I annoyed a town. 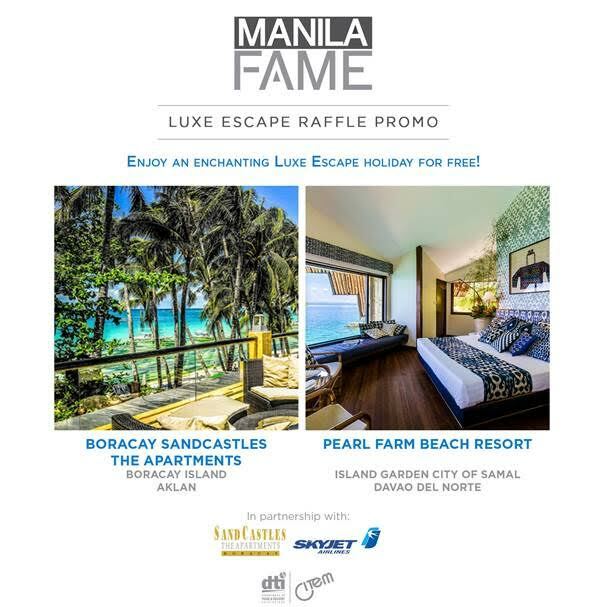 It's just that, the thrill (a travel blogger's version for nervousness and I-don't-want-to-die-yet moment) is something that can not be experienced to more commonly traversed towns out there; like a roller coaster ride that only allows those who are brave at heart and mind. 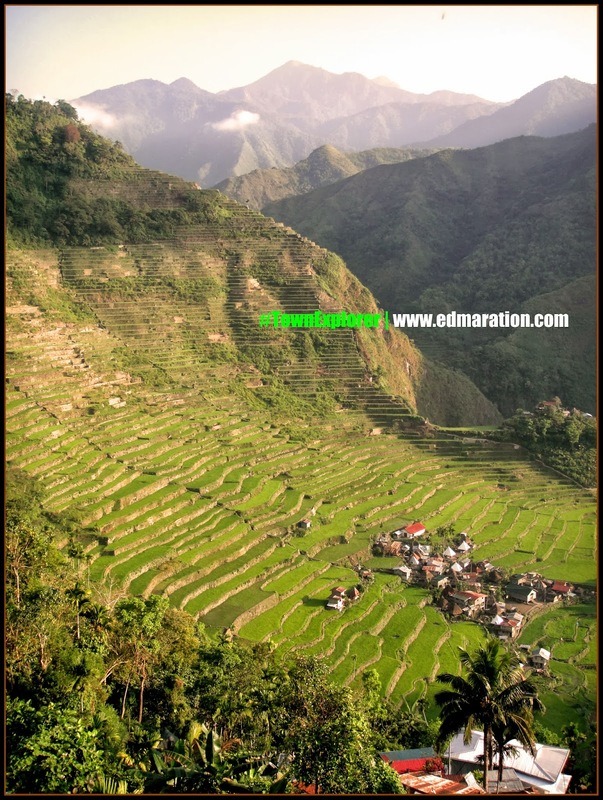 I witnessed this view (rice terraces) in full-swing WOW, which is a pathognomonic sign of an imaginary emotional disorder I call as Cordilleriasis (Warning! 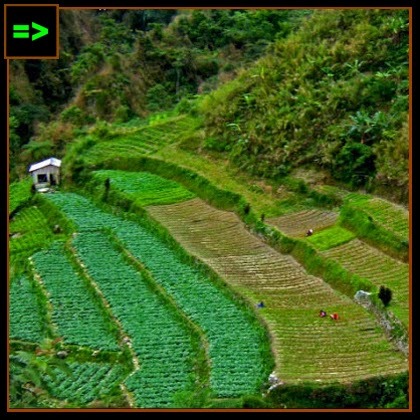 #fiction) - a condition wherein everytime you think about rice terraces, you want to go to the Cordilleras instantly, compulsively. 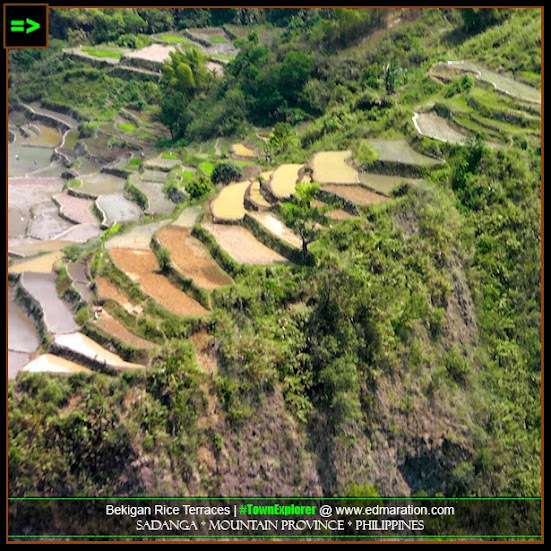 On the other hand, if the Cordilleras is a contagious disease, then the bunch of rice terraces scattered in between mountains and valleys in the region is the presenting symptom and you just can't resist the virulence of the infection. 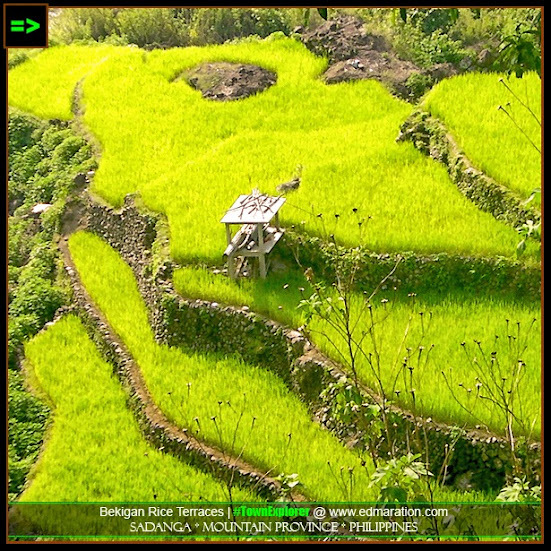 Photo: Palali Rice Terraces @ Alab Oriente, Bontoc, I started this solo backpacking to the hinterlands of Kalinga Province via riding a mini-bus (probably the smallest of its kind in the 'mini-bus' bracket I have seen by far). 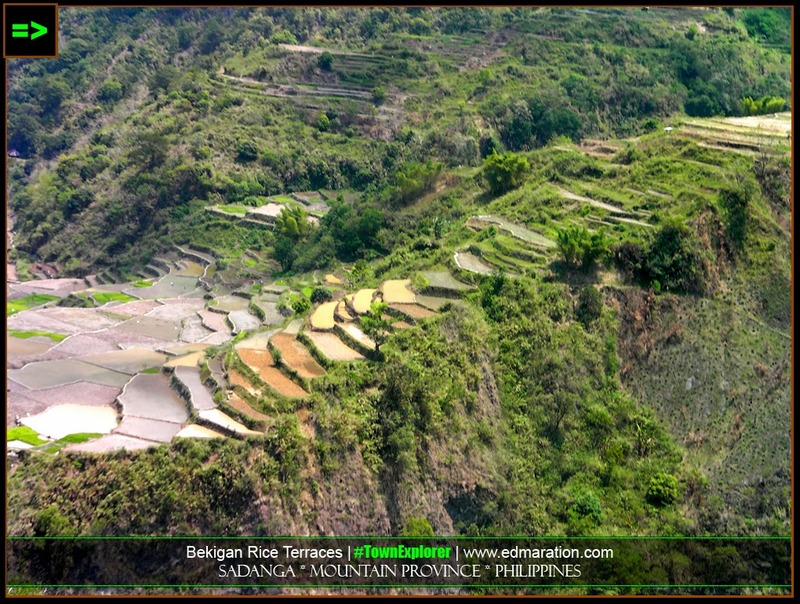 I wasn't even aware that such array of rice terraces exists on my way to Kalinga. About an hour of WOWs and OMGs (because of the view and my intolerance to beautiful scenery where I put my head out of the bus window), the journey has to make me call for the protection of the Holy Spirit; to manifest and keep me safe and sound during the travel. The road has turned disastrous. 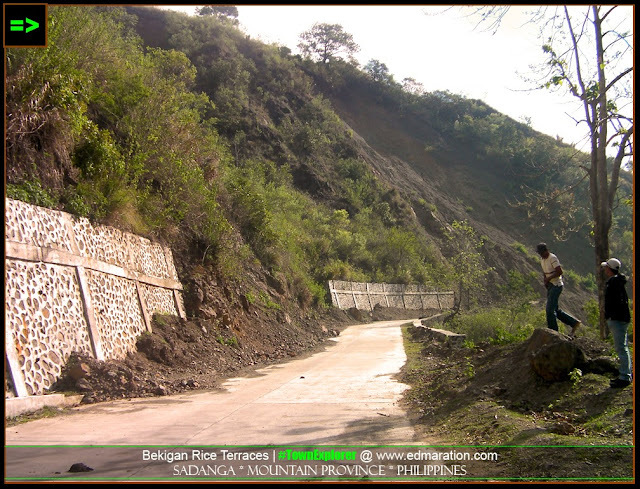 Photo: Bekigan Rice Terraces, but this is one of the best sections of the road, though evidence of rock slides and land slides is everywhere. 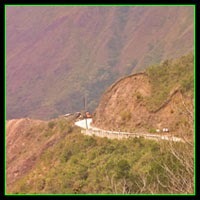 The deadly part of the road is located near the Sadanga-Tinglayan boundary. Enough for these road worries, I just can't get enough with my newest discovery. 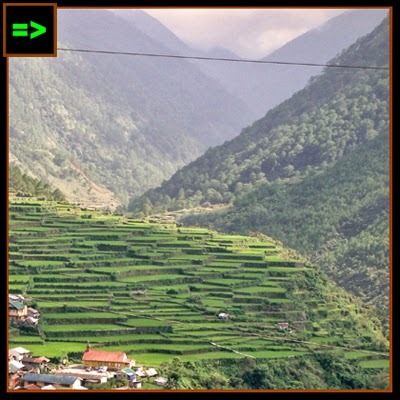 It's yet another cultural heritage to be added on my Rice Terraces label. 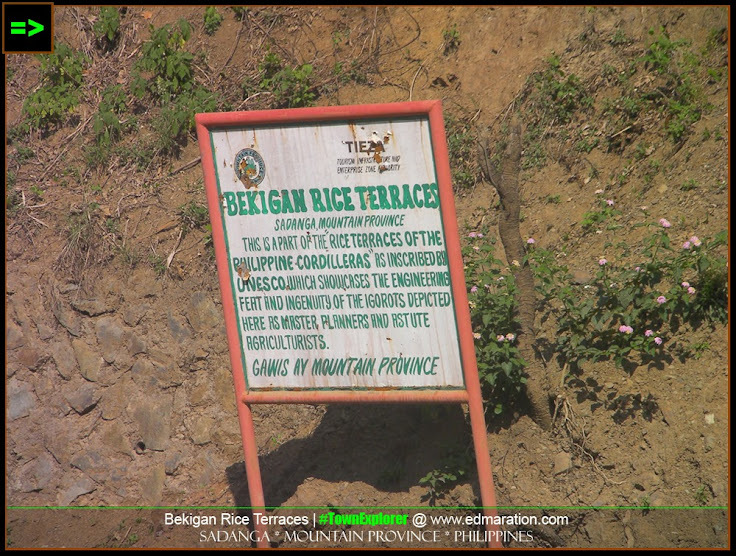 According to the marker, the Bekigan Rice Terraces of Sadanga town (Sagada is different, don't be confused) is a part of the UNESCO World Heritage Site collectively known as the Rice Terraces of the Philippine Cordilleras. 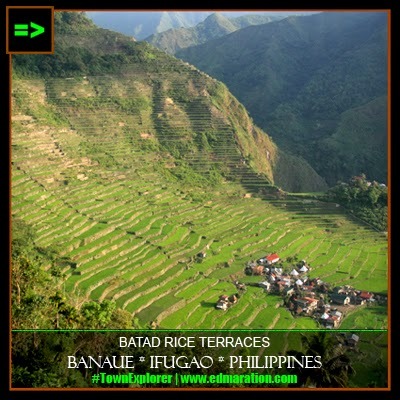 FAST FACTS: Batad Rice Terraces in Banaue, Ifugao soars more than a thousand meters high up the sky! Click the link or the photo to enlarge. 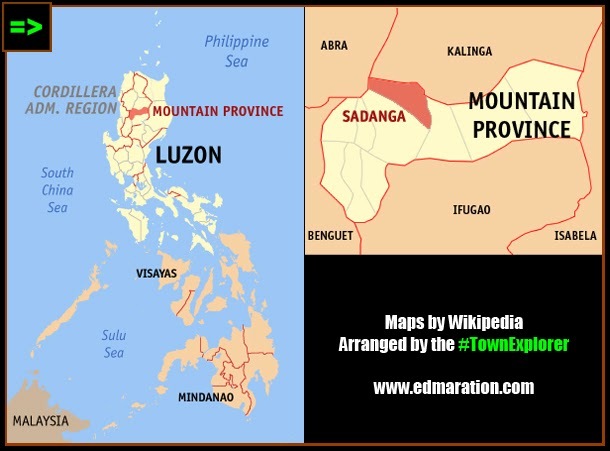 FAST FACTS: A mountainous region in the Philippines' Luzon island composed of 6 provinces with distinct people and dialect namely Abra, Apayao, Benguet, Ifugao, Kalinga and Mountain Province. 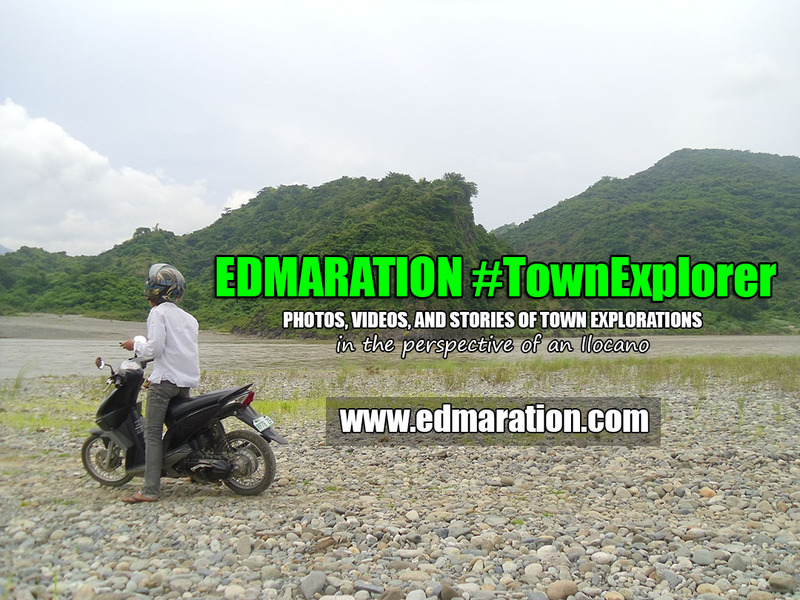 Photo: Abra River in Pidigan, Abra has its own interesting story and quality to brag about. 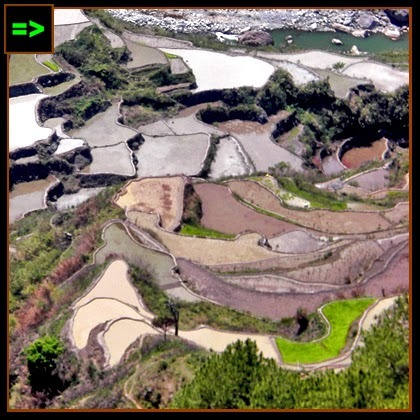 There are just things that a certain terraced rice field could offer that others don't have if only we try to scrutinize each. 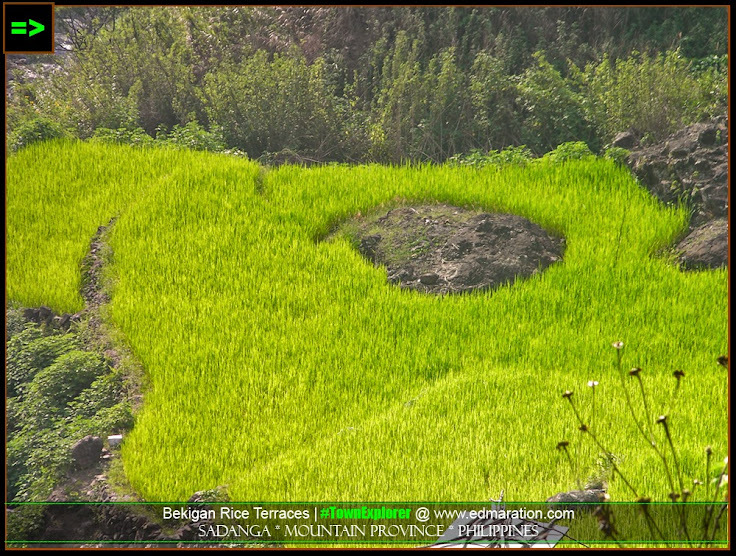 For Bekigan Rice Terraces, the thing that makes it different from the more popular ones is it is not well-known. It maintains its aboriginal beauty the way the ancestors maintained it. It has no influx of tourists that triggers the popping-out of hotels, souvenir stalls and tourist crowd. It is as simple as it is. Its original purpose the time it was built thousands of years ago is the essence of the encounter. Just plain cultural heritage to that effect. Goosebumps! Yes, not so well known that not so many tourists care about. That's a good news in my point of view. The original purpose is maintained. It is used the way it was made for that purpose. It is not altered just to fit the demands of common tourist. 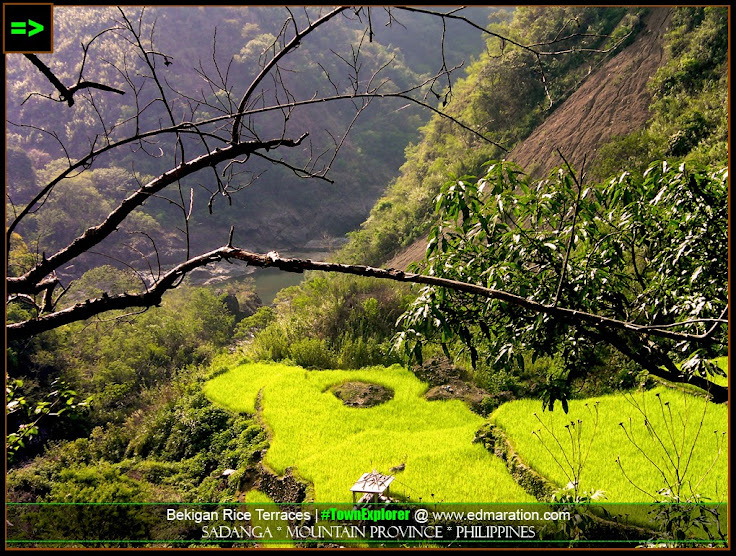 In this connection, not every beautiful beach should be crowded, not every mountain should be hiked and for the case of these Rice Terraces, not every rice terraces should be flocked by visitors. Sometimes, we have to set the limit. 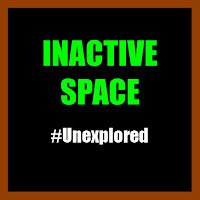 There are just some destinations worthy of not allowing any visitor at all in the name of preservation. 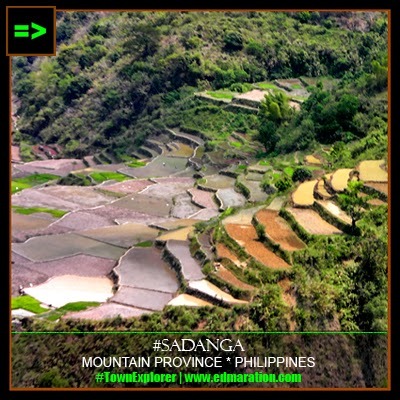 And the journey to Tinglayan continues (and currently, I am enjoying my time in Sadanga, Mountain Province). The emotional OMG-factor heightened to a level that dwarfed the mountains around me as the road gets dirty, rough, narrow and considerably deadly without caution. The driver was an ace while two white American backpackers at the back are uttering "That's crazy! That's crazy!" as they point out to a sinking road bed with width of a very little wider than the width of our mini-bus. 1. 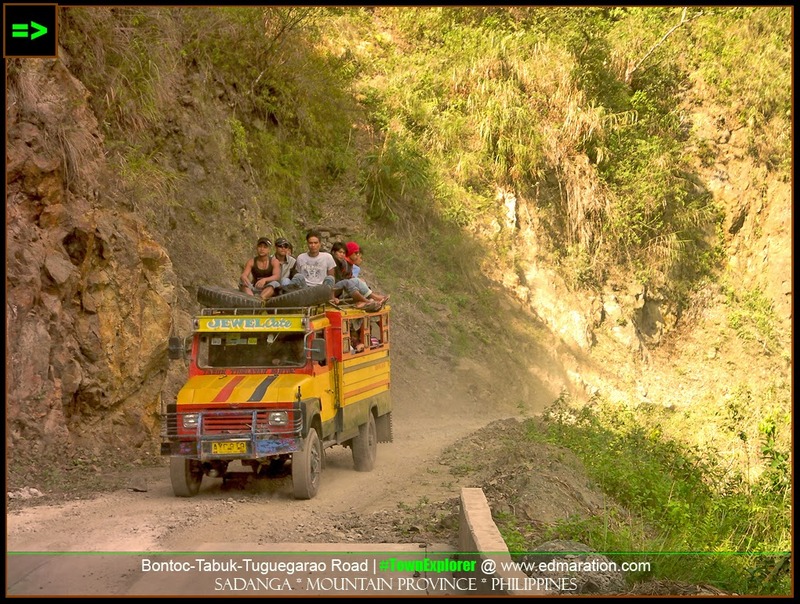 From Bontoc, ride on a bus bound for Tabuk and/or Tinglayan. 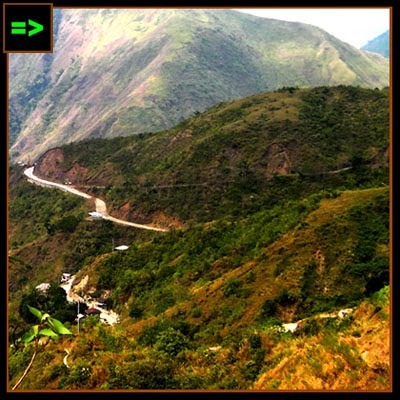 The parking area is located near the Mountain Province Polytechnic State College along the main road. Or if you are not sure, just ask any local politely this way: "Where is the parking area of mini-buses bound for Kalinga?" They will tell you where. 2. As far as I can remember the first trip is around 5-6 am (depending upon the volume of passengers). The second trip is around 9 am. 3. If you have your own motorbike (or should you wish to drive an SUV or a posh car - goodluck! ), just follow the road northwards. It could take up to 1 hour before you reach the site. If you choose to commute, the fare (as far as I remember) is around 100-120 up to Bugnay Village in Tinglayan. You will pass through this site. Should you wish to cut the trip here, the fare would be cheaper, of course. 4. There are no accommodations near this site. It is only good for a side trip. 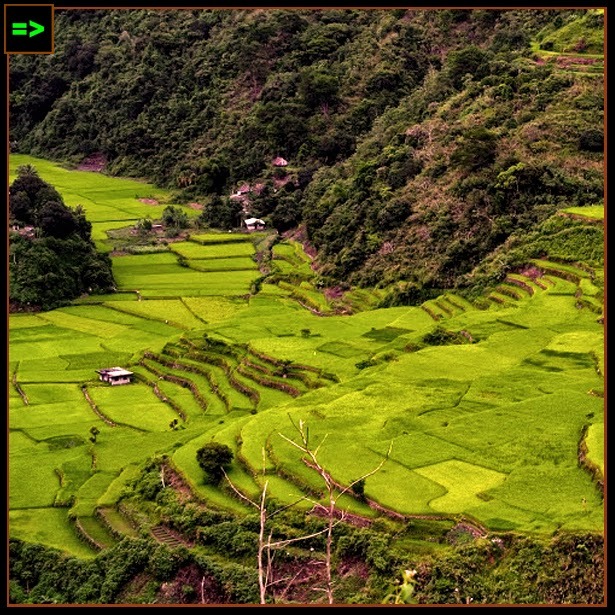 If you opt to commute, you can see it along the way to Kalinga. Choose the window seat at the right side of the bus if you want to see the view. The marker is located at the left side of the road though (from Bontoc) which I hope you can notice - goodluck! 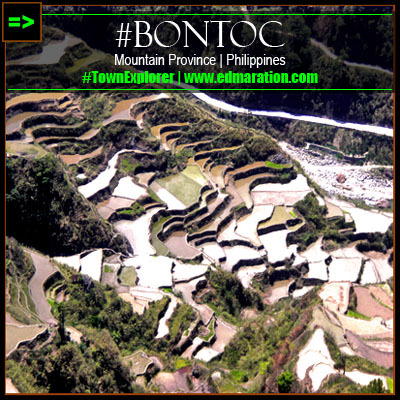 If you choose to cut your trip here, the last bus going back to Bontoc is around 12 PM to 1 PM. Expect that the bus is already full. You may need to topload. 5. 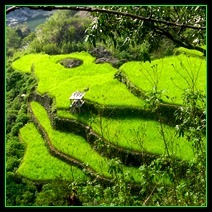 While waiting for 12 pm, you can ask locals (if any) a better vantage point of the Bekigan Rice Terraces. You may need to hike. Be sure to be back at the road by 12 PM, or else, you'll be stranded that day.